Standards are essential for the modern technological environment for compatibility and interoperability, reducing costs and risks, simplifying product development, improving time-to-market and enabling innovation. In an effort to expand and further develop global standards education, the IEEE Standards University program has four new IEEE eLearning courses, as well as a new IEEE massive open online course (MOOC) offering training in the use and important of technological standards. The new MOOC, entitled “Innovation and Competition: Succeeding Through Global Standards,” will be offered at no cost through the edX online learning platform. What technical standards are and why they matter globally. How standards develop through formal and informal processes and negotiation. How standards apply to product design and innovation. 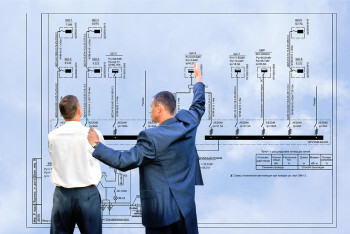 The connection between standards, strategic planning and business success. Important intellectual property considerations related to standards and conformity requirements. The course, which is geared toward engineers, offers a practical view of technical standards for professionals in the fields of engineering, technology, computing and product development, as well as applications in business, economics and law. The four eLearning courses are accessible through IEEE Standards University and the IEEExplore Digital Library for a small fee. What role ethics play in standards development and applications. Options when faced with standards-related ethical dilemmas. Resources available to assist in making ethical decisions. Understanding of standards abuses and examples of the effects of bad ethical decision making in standards-related situations. What is a standard, why they are important and what are the contents of a standard. Who uses engineering standards and why. The “language” of standards and guidance on the nuances of using certain words in the context of a standard. Overview of conformity assessment, its importance and its advantages and applications. Different types of conformity assessment activities and programs. International standards defining conformity assessment including the role of ISO/IEC 17065 for certification bodies and ISO/IEC 17025 for laboratories. Roles and responsibilities of conformity assessment certification programs. Overview of the Standard for Precision Clock Synchronization Protocol for Networked Measurement and Control Systems. Basic elements of timekeeping and establishing a system-wide timescale in a distributed system. Options for implementing a timescale. Examples of current applications of IEEE 1588. For more information or to register, visit the IEEE Standards University.